Life Groups: Many small group meetings off campus that provide an opportunity for you to be plugged into the church family. More information on these groups at the Welcome Center in the lobby. Prayer Time: There is a time of intercessory prayer on Tuesday morning's at 10:00am in the sanctuary. Everyone is welcome. 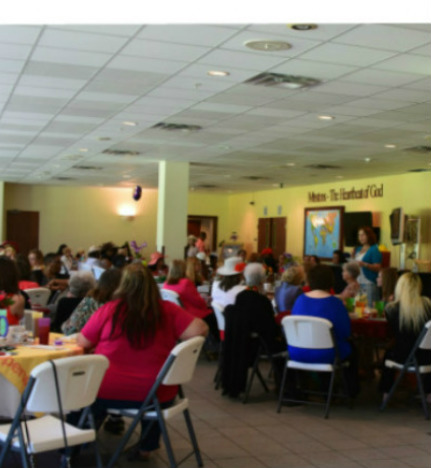 Serving at Guest Services is a wonderul ministry as well as an outreach to new people. It is so enjoyable to welcome them into our church family and help them get connected. We have a great time meeting them & being their first contact. If you would like to be a part of this ministry, please come to Guest Services. Funeral Dinner Ministry If you have a heart for those that are grieving & would enjoy preparing food, serving food, set up, etc. please come to Guest Services, and give us your contact information.